This is the sacred Teonanacatl or God's Flesh in the Aztec language. 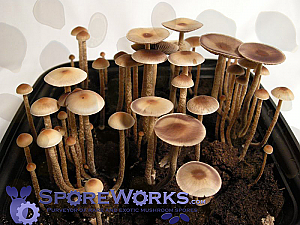 Rediscovered by Roger Heim in 1956 and used by Dr. Albert Hoffman in the first isolation of psilocybin and psilocin. AIRDOG's comments on the collection. 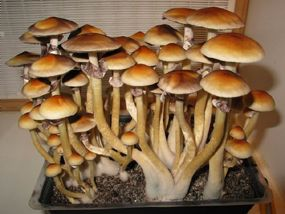 "I found those in pastureland growing directly from soil. They grow single or in small groups. The biggest group I have found is of three. I picked them in the state of Colima by the skirts of Colima's volcano." Combo Savings! 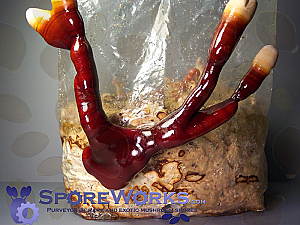 Purchase this sample along with your choice of other available exotic Psilocybe spore samples in our Exotic Psilocybes : 4 Pack Your Choice Spore Syringe Grab Bag Special and save 25% or more!